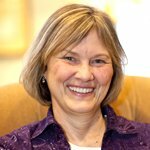 Since 1998, Mary has taught Healing Touch to a wide variety of students across many diverse settings within higher education, healthcare and local communities. She is a holistic wellness educator with well over 25 years experience teaching and presenting health, fitness and stress management. From her very first Healing Touch class in the Chicago area over two decades ago, Mary has integrated the spirit and practice of this transformative work into every facet of her life, personally and professionally.